The video is narrated by Dr. Mohinder Suresh (Sendhil Ramamurthy). I’d recognize that voice anywhere. I’ve missed him. So while the previous videos showed more of the new heroes discovering their powers and being called to action, this video seems to be revealing the other side — the fighting, the power, and the secrecy. I’m going to clap and whoop so much when I see the face that’s attached to the hand reaching for the cracked glasses. And it is future Hiro Nakamura (Masi Oka) we get to see here, the cool one, not the silly one. He’s unafraid and ready for battle. The age-old quests burn brightly and a new phenomenon begins when Heroes Reborn premieres September 24 at 8/7c on NBC. 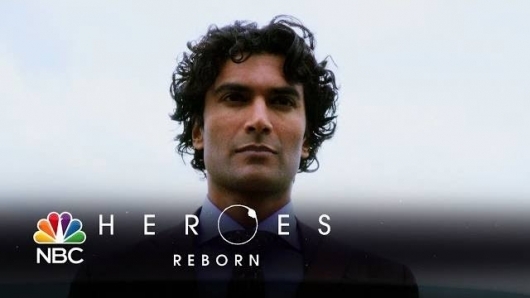 See the full-length trailer for Heroes Reborn, the new series premiering September 24 at 8/7c on NBC.